What? I volunteered for what? It’s a common practice in the business world. Miss a meeting, and you’ll discover that you “volunteered” for leading a project that no one else wanted. Ewwww! No one likes being “volunteered.” But that’s exactly what we did at Seneca Creek. Now before you get upset with us, hear me out. Last spring our staff worked on some ideas of how we could ignite HOPE in our community during the summer. We wanted some ways to make a real difference in people’s lives. And one of the ideas we had was to have a giant block party and provide things that people needed: food, a chance to meet their neighbors, and school supplies for those who are struggling just to put food on the table. That’s how we ended up with the Back to School Burger Bash! 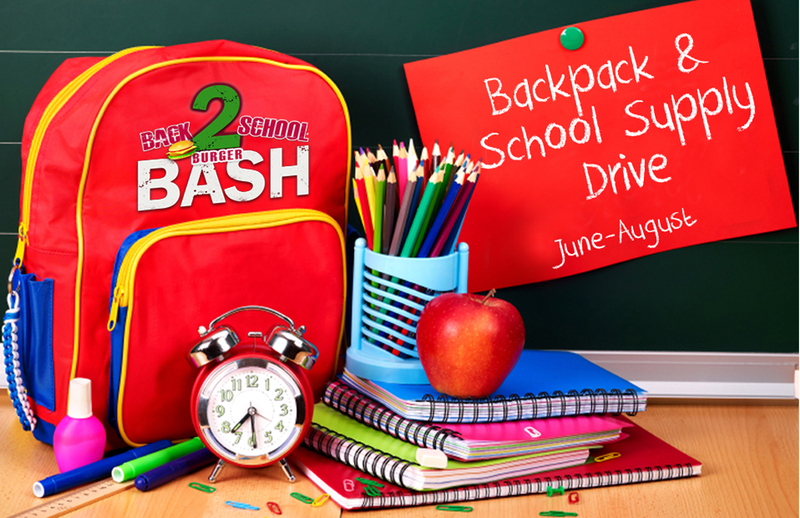 We thought it would be awesome if we could throw a free picnic, AND provide 500 backpacks filled with supplies! So we “volunteered” Seneca Creek to do just that. I know, you didn’t get to vote. (If it makes you feel better, we’re actively soliciting ideas for our upcoming Ignite Weekend in October…so you can vote with your ideas!) But we figured that a church with 1600 email recipients, and over 600 people attending each week should be able to reach that goal with enough time. We rolled this project out about 10 weeks ago. By last Sunday we had received about 120 backpacks. UPDATE: As of this Wednesday night, we had 187 filled backpacks, plus another 110 backpacks that are about 50% filled! If you’re like me, you’ve been busy all summer, and fully intended to be part of the 500 goal. This Sunday, August 19th, is the LAST DAY to collect supplies. We’ll be sorting them out next week and distributing them on Saturday the 26th. So, I urge you to do what I’ve done this week: Go to the store and buy your supplies. Then bring them all this Sunday, or drop them off at the office if you’re going to be out of town. Let’s make an unforgettable statement that Seneca Creek is a church that is radically committed to serving those in need here in our community! P.S. I picked up 3 backpacks this week and we’ll bring them fully loaded this Sunday. Only 377 310 left to go. How many will you bring? Posted on August 16, 2012, in Uncategorized. Bookmark the permalink. 2 Comments. Ok, we found extra supplies in the house yesterday while cleaning up. So we will gather them up and go backpack shopping today! Thanks for the Motivational reminder. I found backpacks at the store “Five Below” on Middlebrook Rd in Germantown for, you guessed it, $5 a piece! .